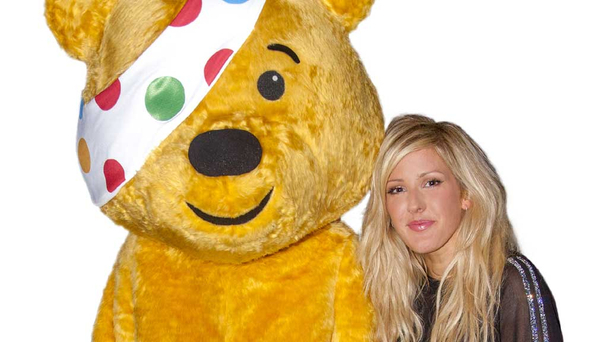 The BBC has announced that this year’s official Children In Need single is Ellie Goulding’s “How Long Will I Love You”. The exclusive television performance of the single will be broadcast on the BBC Children in Need Appeal Show airing live on BBC One on Friday 15 November at 7.30pm. The Charity single will be available to pre-order from 7 October and for full download from 10 November. As the official artist behind this year’s single, Goulding joins a long list of renowned performers including Girls Aloud, who supported the campaign with their comeback single Something New in 2012. Other past acts include JLS (Love You More, 2010) and the Teletubbies (as part of Peter Kay’s Animated All Star Band in 2009), along with David Bowie, Tom Jones and Elton John, who featured on the iconic Perfect Day single in 1997. A minimum of 20p per download from the single will be donated to the charity. The track is currently available to download through Ellie Goulding’s album, Halcyon Days, from which the charity has been receiving a 20p donation per download.